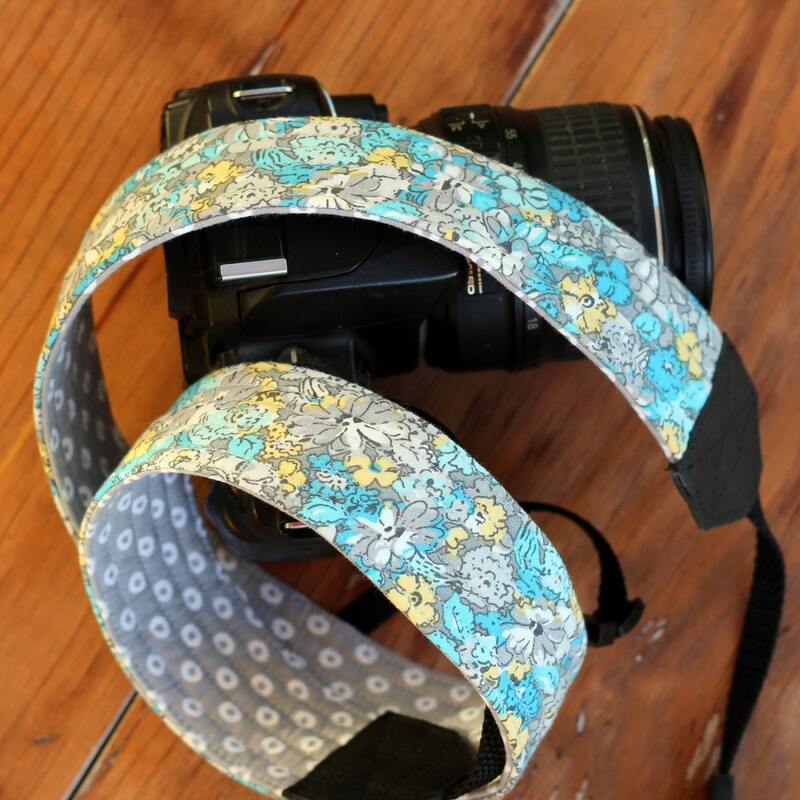 Take that amazing dslr camera up a notch with this gray and blue floral padded cotton, reversible camera strap. This fun, beautiful strap is as much a fashion accessory as it is a practical necessity. As a gift or just for yourself it's sure to please. One side of this strap is a blue, gray, yellow, and white floral print. The reverse side is gray with white circles. The end pieces are black leather. The camera strap is comfortable when wearing. It won't stretch and is sturdy enough to last for years. Snug, high quality end slides and keepers included.